The Duchess of Sussex set a broad intention for 2016 — and it really worked. In 2016, the Duchess of Sussex published a post on her now defunct lifestyle blog The Tig, enumerating her usual — and very concrete — goals for the year ahead. “Run a marathon. Stop biting my nails. Stop swearing. Re-learn French. These make my New Year’s resolution list nearly (aka actually every) single year,” she wrote. That’s the way it shakes out for most of us. While around 44 percent of us make resolutions, according to an NPR/PBS NewsHour/Marist Poll National Survey, 32 percent did not keep them, and 68 percent maintained them for half the year. Setting intentions for the new year is highly effective — especially in Markle’s case. Six months after publishing her post, her life transformed: she met Prince Harry on a blind date, fell in love, got married in May 2018, and is now pregnant with their first child. Even if your goal has nothing to do with a future romantic partner (or the Royal Family! ), we can all benefit from Markle’s approach to setting positive intentions for the year ahead. 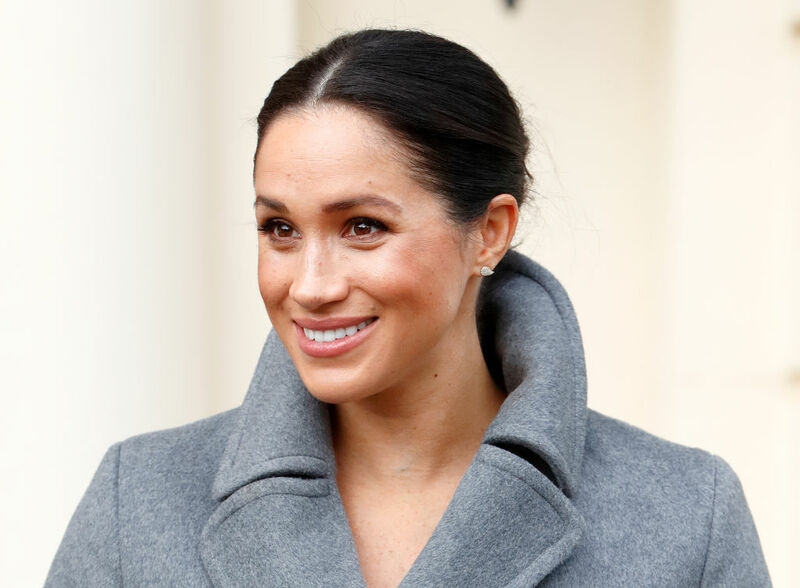 Rebecca Skolnick, Ph.D., a licensed psychologist and co-founder of MindWell Psychology NYC, says Markle’s approach to resolutions is a good one. Here’s how you can better shape yours for 2019. Markle’s method lends itself to success, Skolnick argues, because it’s flexible: “It leaves room to say that lots of things can be defined as a success.” Setting an ambitious, black-and-white goal doesn’t allow you to triumph in small victories, or to forgive yourself for setbacks — both of which are crucial to your success. Adopting an optimistic attitude as a resolution or intention fosters a sense of hope. “You may end up putting yourself in new situations or going out of your comfort zone,” Skolnick says. Like Markle, you’ll be more inclined to go on a blind date or try a new activity that you could wind up loving. It allows you to stay open to possibilities. A dialectical behavioral (DBT) psychologist, Skolnick urges us to stay grounded and not get overly ambitious with our resolutions, otherwise we’re more likely to fail. Establishing small goals — what we call microsteps at Thrive Global — are more doable and set you up for greater success. “With DBT, we try and get people to think more dialectically, allowing them to see the whole picture and not just one side of things,” Skolnick says. That, in turn, facilitates thinking with more nuance and complexity about your wins and your fumbles — a habit of mind that can help you as you continue to follow your New Year’s intentions.